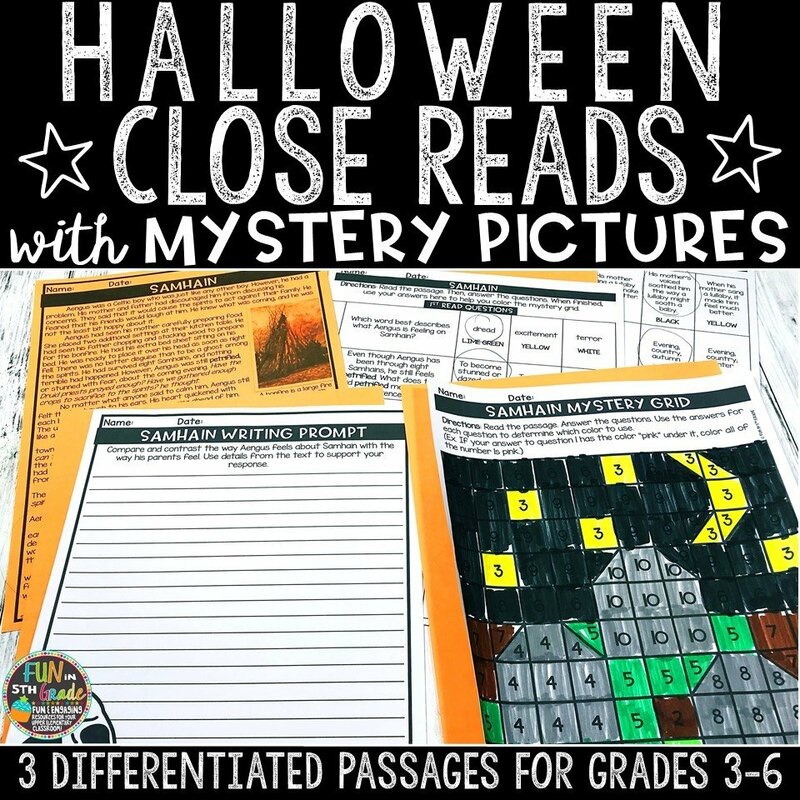 Celebrate and educate students about the holiday of Halloween with these close reading passages that include mystery pictures! 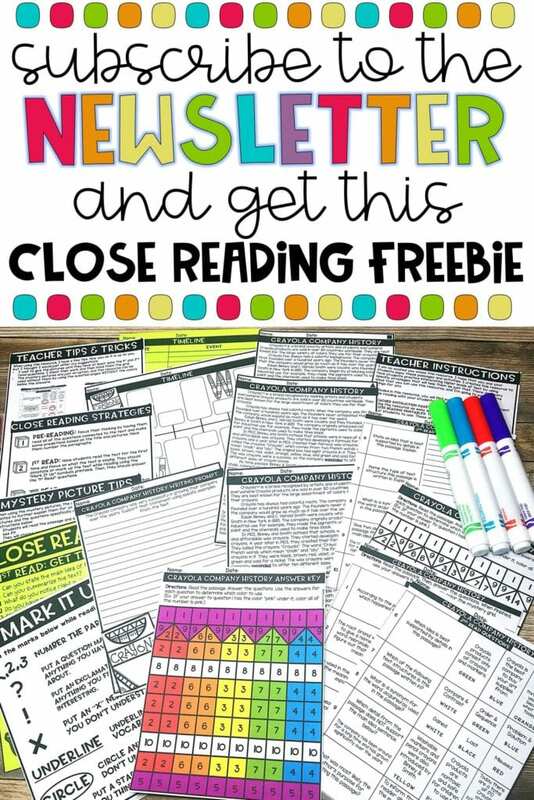 Just print and GO! 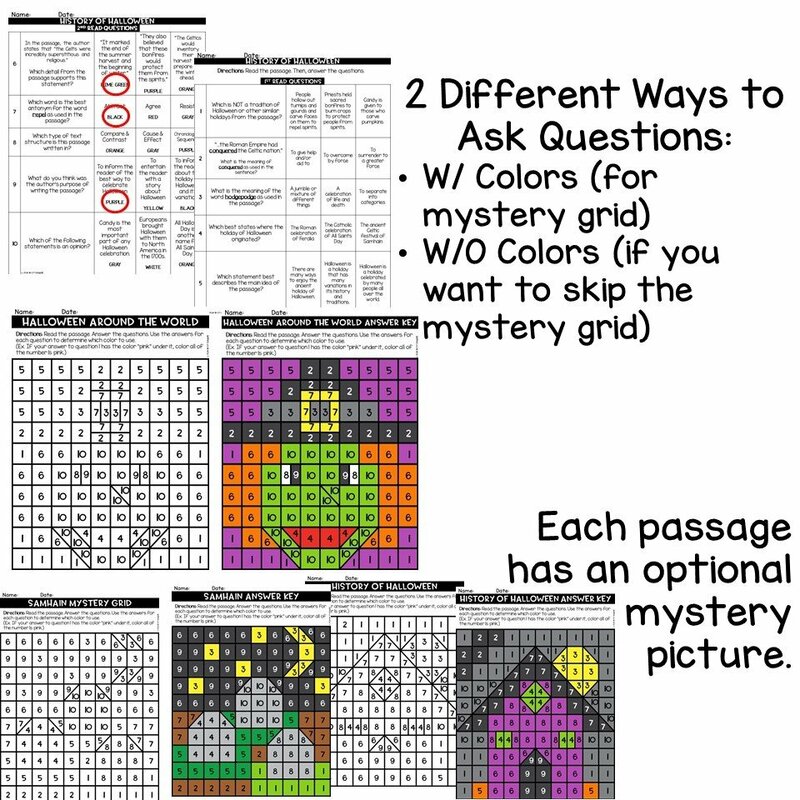 "My students absolutely loved these Halloween passages! They were great to compare and contrast 2 passages on the same subject. 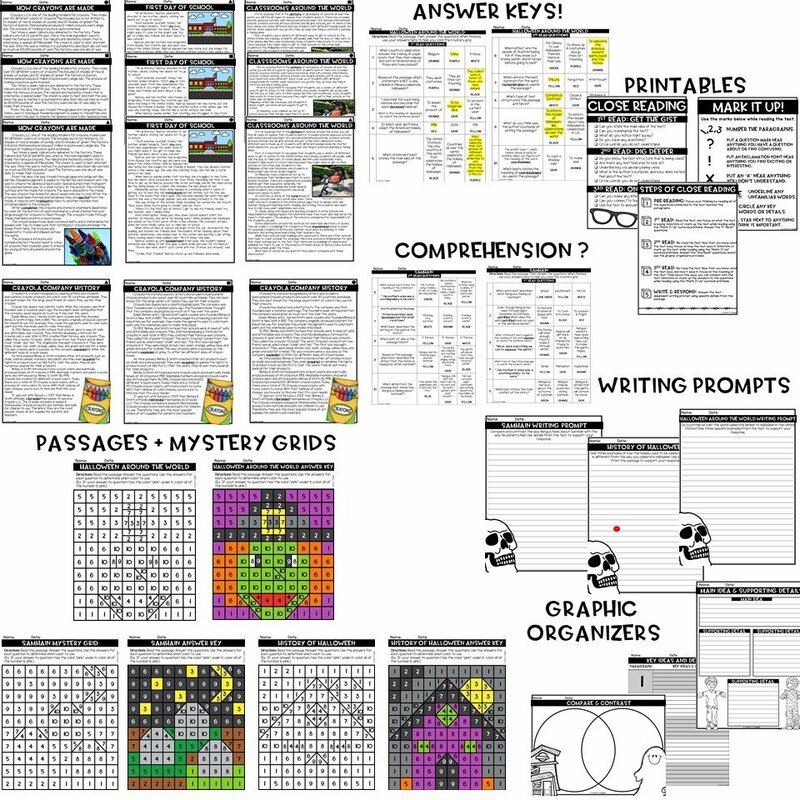 Can't wait to try the Thanksgiving passages!" "This was a great pack. 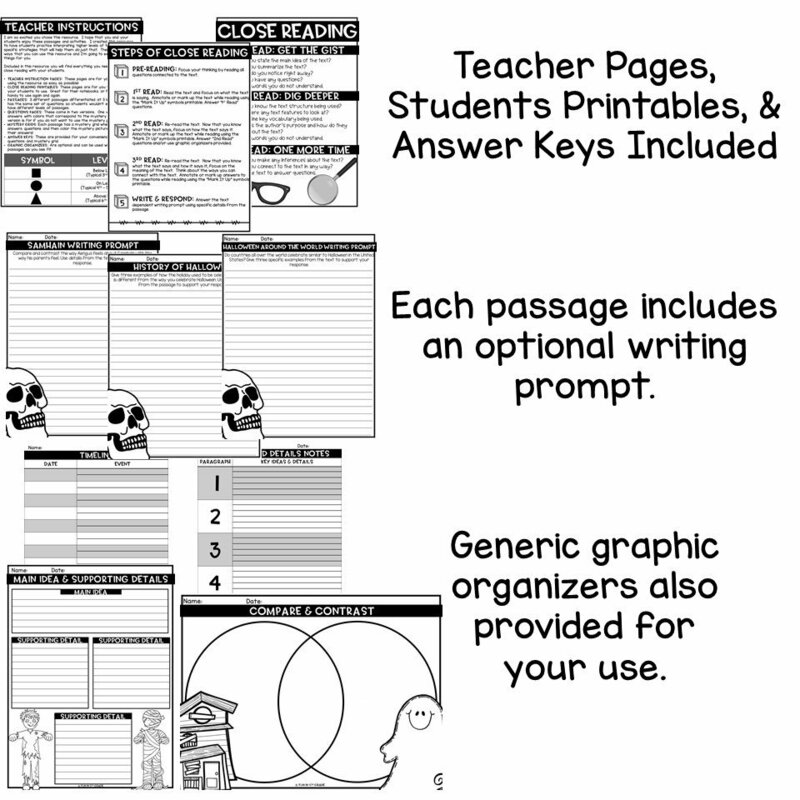 Lots of options and differentiation plus the coloring pages made it fun. More importantly in the community I teach in the message is Halloween is evil and is the birthday of the devil so it was nice and important for them to read informational text about Halloween. Thanks for your hard work." 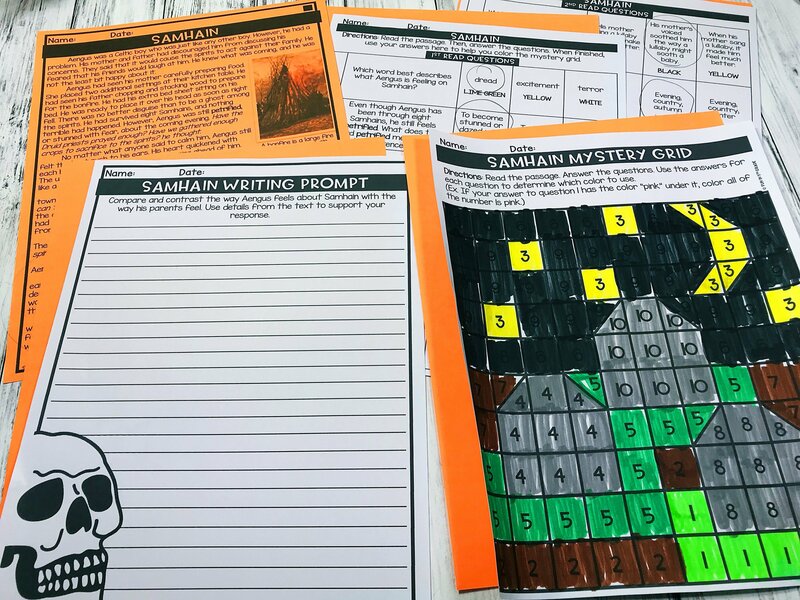 "My kids really enjoyed learning about the history of Halloween, as well as getting to color the mystery pictures. 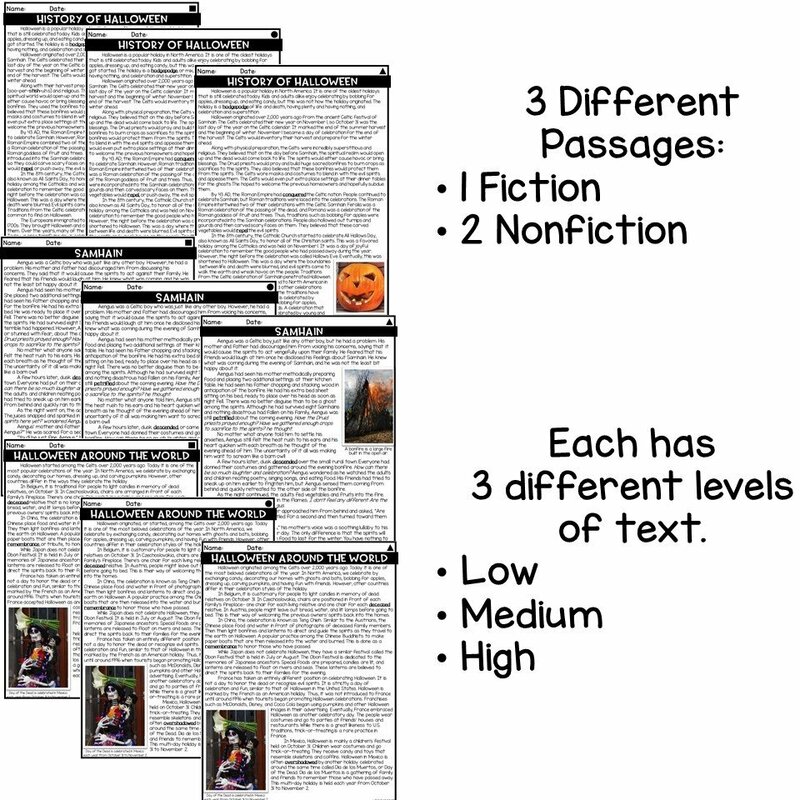 I loved that there were three different levels for each text, so all students were able to access the same information and participate in class discussions about each story. Thanks!"